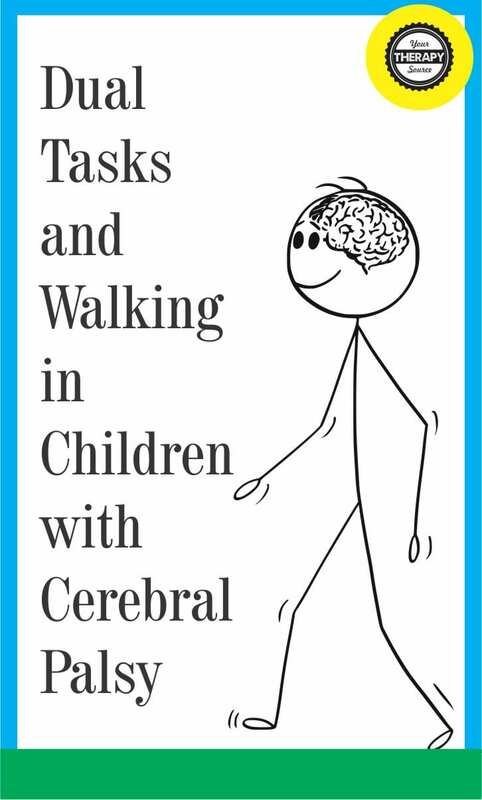 Gait and Posture recently published research on dual tasks and walking in children with cerebral palsy compared to typically developing peers. The participants included 18 children with cerebral palsy and 19 typically developing controls. Both groups had an average age of 12 years old. Participants were recorded during a simple walking task, 5 dual tasks (walking + cognitive tasks with increasing cognitive load), and 5 simple cognitive tasks (while sitting). Gait was analyzed along with cognitive performance throughout each of the tasks. gait performance decreased in both groups as dual tasks cognitive load increased. the participants with cerebral palsy performed significantly worse than typically developing group in every task (including the simple task). dual task costs were similar in both groups. a task effect was found for the majority of the gait parameters. The researchers concluded that the decrease in gait performance from dual tasks may generate underestimated difficulties for children with cerebral palsy in daily-life situations. It is important to keep this in mind when evaluating gait. Carcreff, L., Fluss, J., Allali, G., Valenza, N., Aminian, K., Newman, C. J., & Armand, S. (2019). 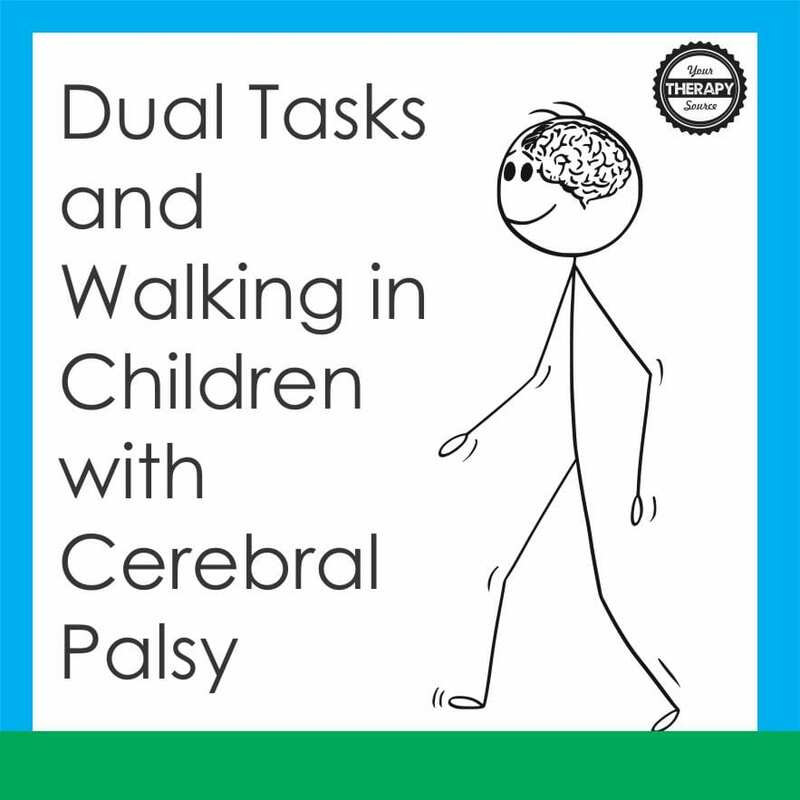 The effects of dual tasks on gait in children with cerebral palsy. Gait & posture. 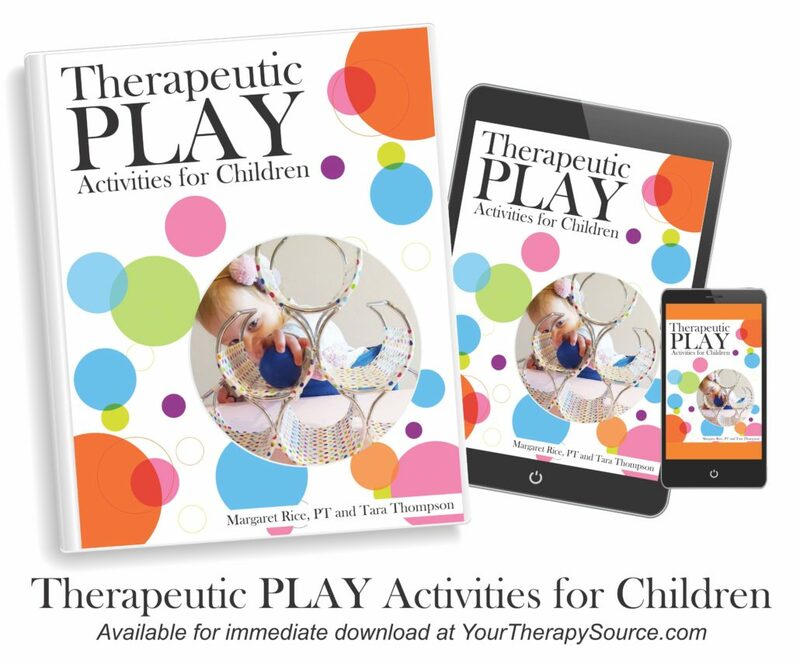 Teaching Motor Skills to Children with Cerebral Palsy and Similar Movement Disorders: The ELECTRONIC version of Teaching Motor Skills is a must-have reference for all therapists who work with children with cerebral palsy. Whether you are a beginner or experienced therapist you will find the information concise, informative and very helpful to carry out everyday functional tasks including stretching with children with cerebral palsy. The book provides activity suggestions throughout the developmental sequence such as head control, tummy time, sitting, transitions, walking and beyond. There is also great information that reviews additional interventions for children with cerebral palsy such as bracing, surgical and medical management. 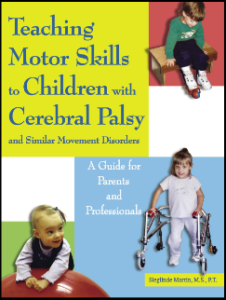 The author, Sieglinde Martin, is an experienced PT and a mother of a child with cerebral palsy. FIND OUT MORE. Imagine First, Write Next – Mental Imagery and Handwriting Breathing Exercises for Kids that are FUN!